Lorde performed during her Melodrama World Tour at Barclays Center on Wednesday (April 4) in New York City. 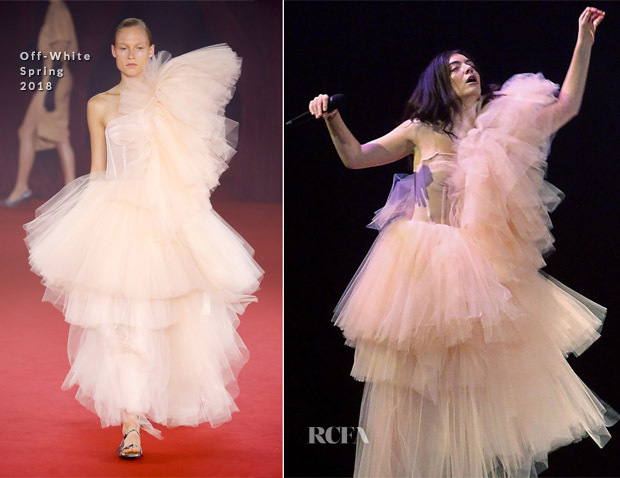 The singer ditched her typical dark and quasi-gothic duds for this Off-White Spring 2018 voluminous tulle dress in a ballet pink hue which makes an ethereal, romantic impression – especially as a performance piece. So much drama is imbued with the layers plus the partially revealed corset that modernises the overall look. What shoes did she wear with this look? She was barefoot of course. 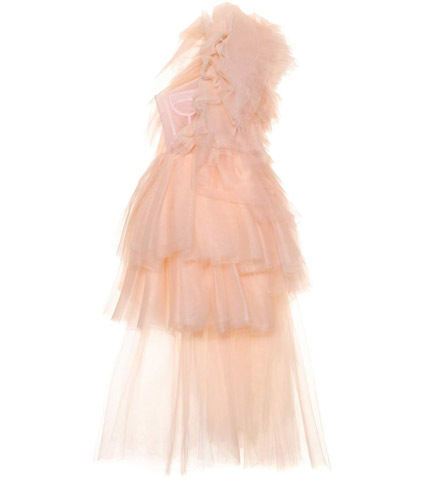 This dress stands alone.